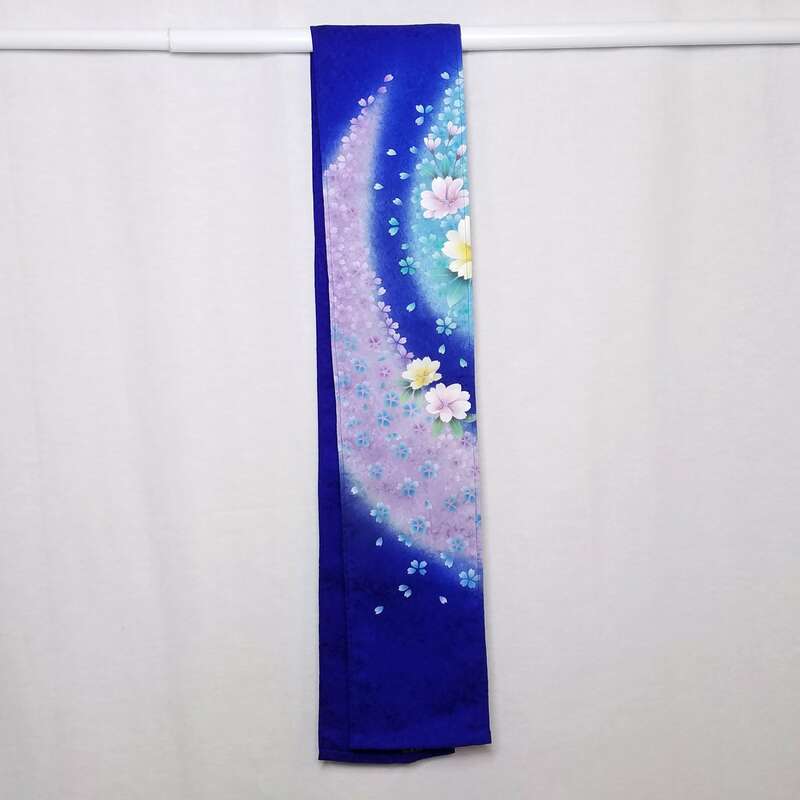 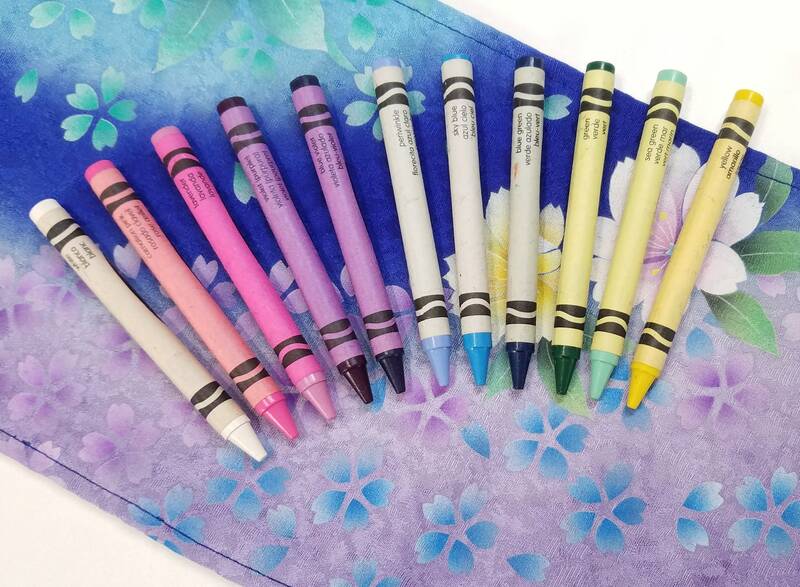 The front of the scarf has printed white, pale yellow, lavender, green-blue, light blue and pink sakura (cherry blossoms). 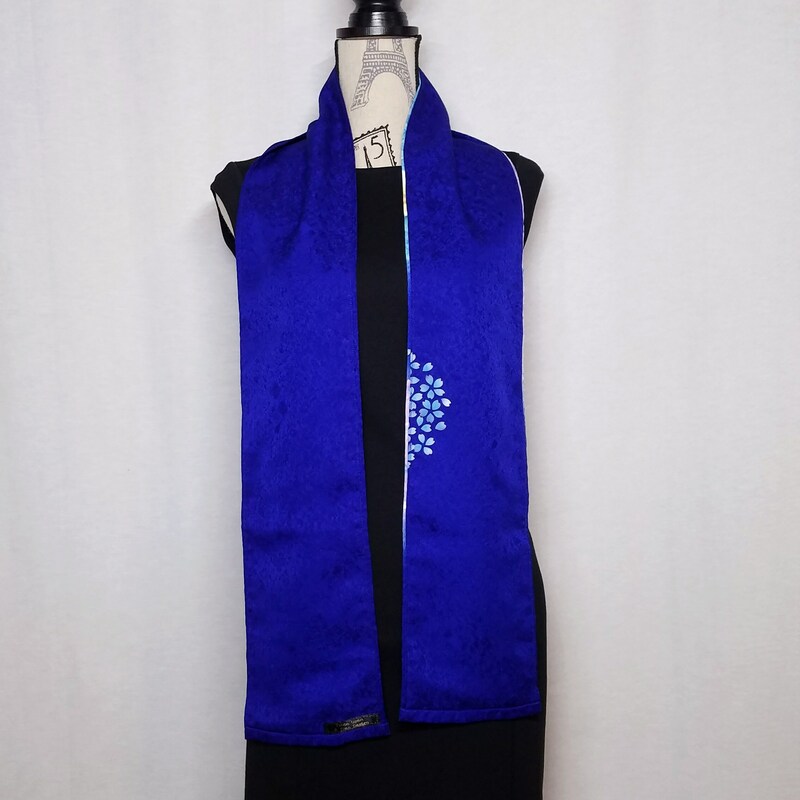 The silk is dyed a beautiful, navy blue hue. 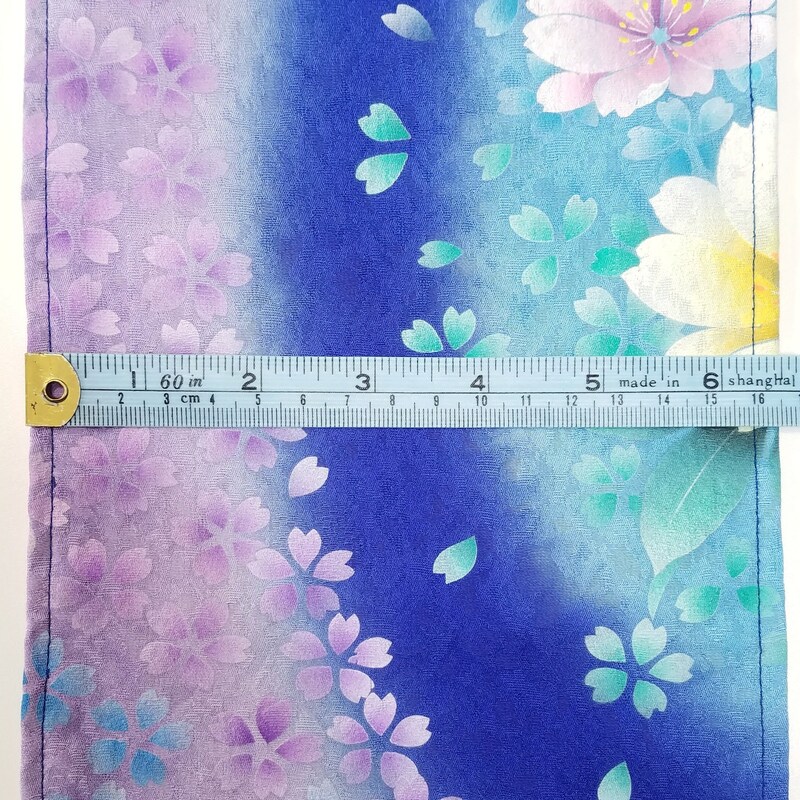 The portions of the scarf with the printed cherry blossom design are dyed a pale lavender and a pale aqua blue. 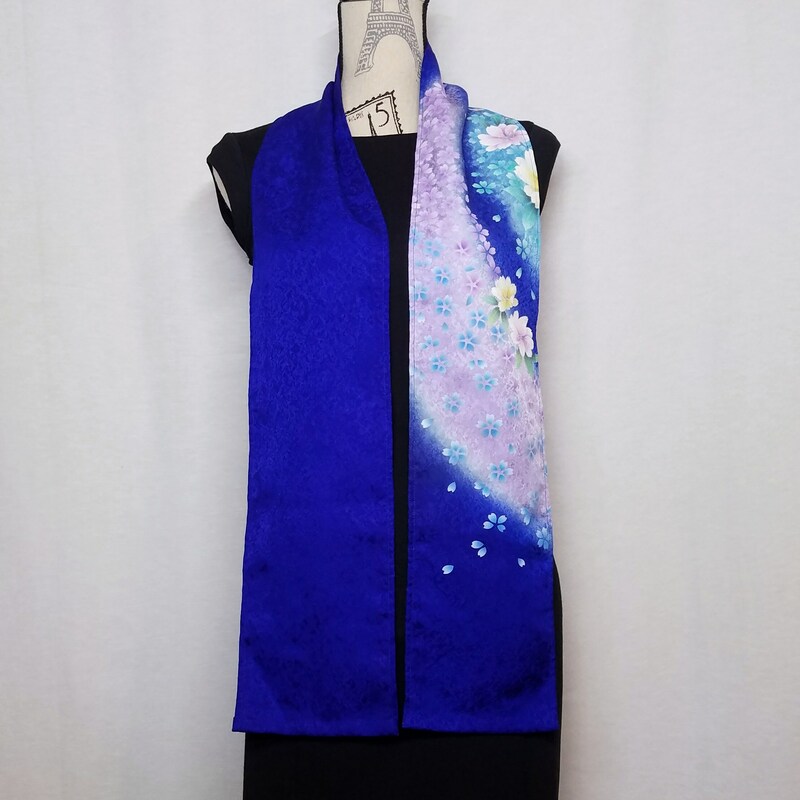 The reverse side of the scarf was created using the same kimono silk. 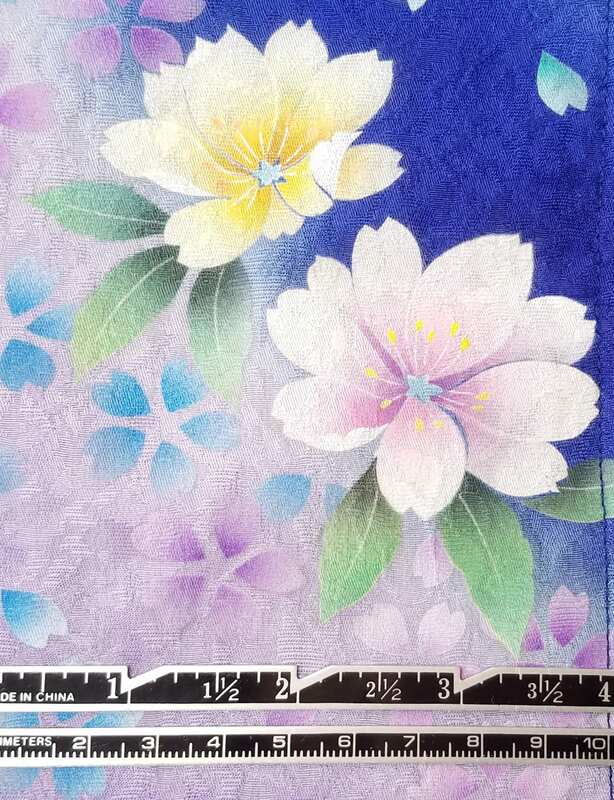 It is a solid, navy blue hue and has a small section of printed, sky blue colored sakura. 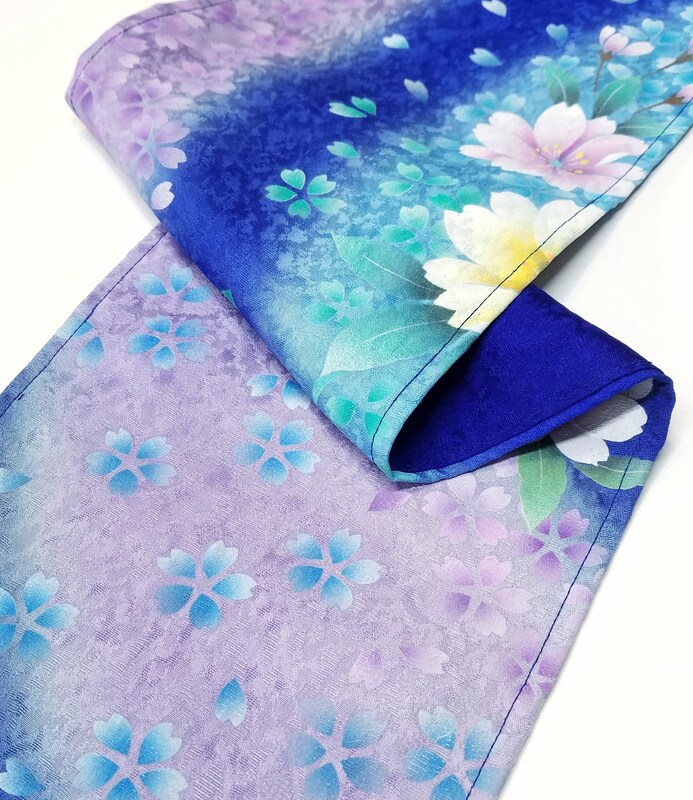 This silk is a rinzu damask type silk and it has a wonderful texture and a slight sheen. 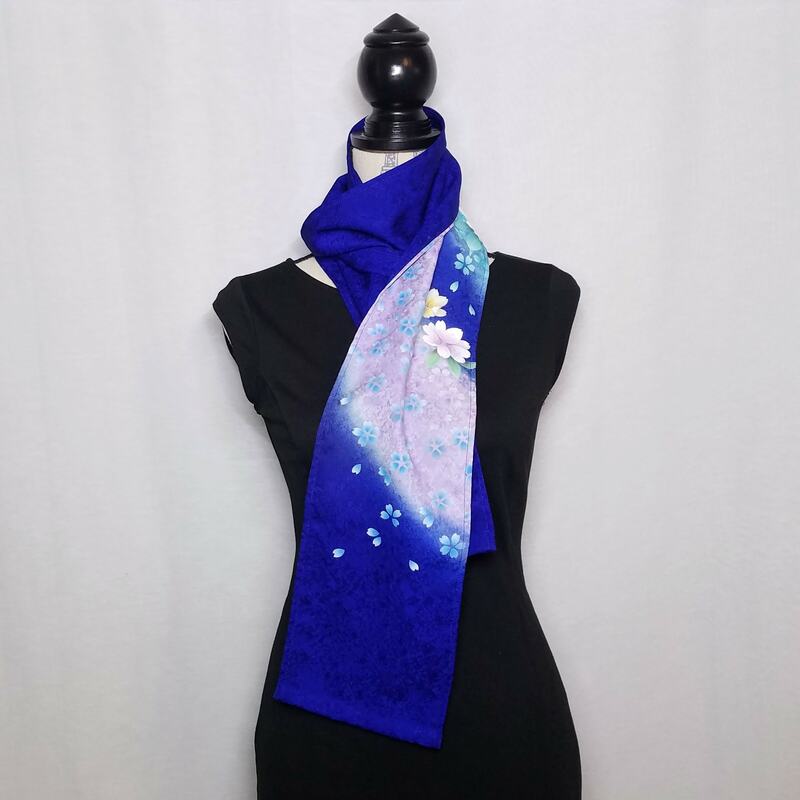 An abstract and floral design is woven throughout the fabric and can be seen when the light reflects off the scarf at certain angles. 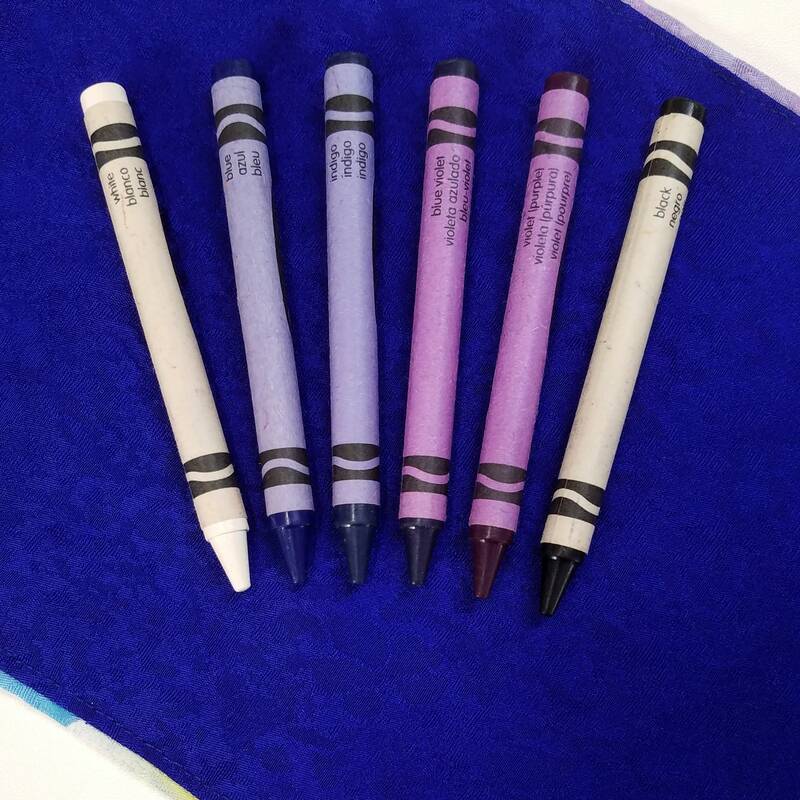 This can most easily be seen in the 10th photo. 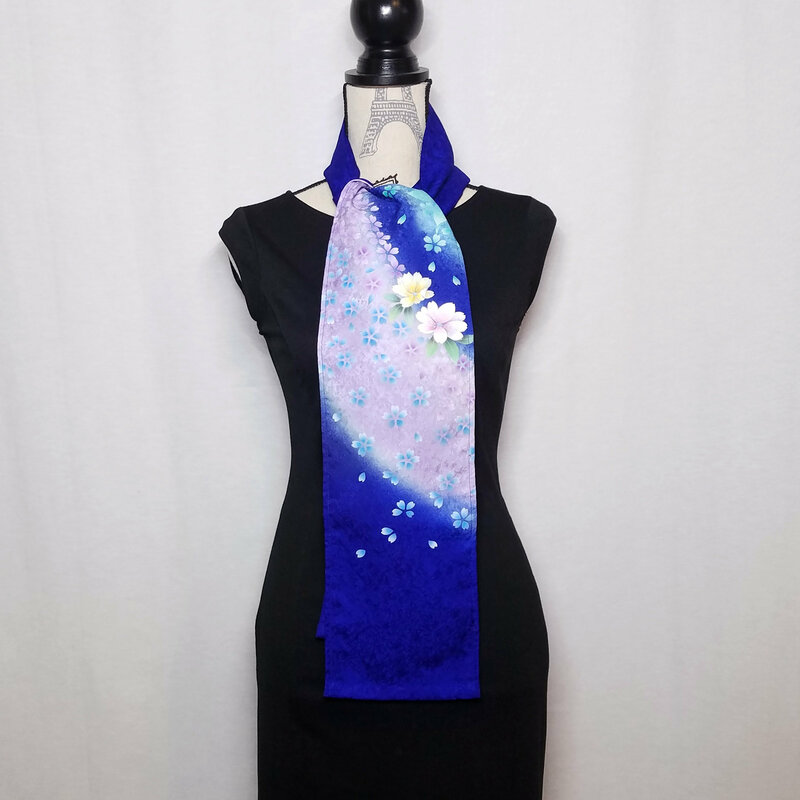 The silk is of a medium weight.